Contemporary Security Policy is seeking proposals for a special issue to be published in 2018. The special issue should address a topic within the aims and scope of the journal. analytical approaches, iconoclastic interpretations and previously overlooked perspectives. Its pages encourage novel contributions and outlooks, not particular methodologies or policy goals. Its geographical scope is worldwide and includes security challenges in Europe, Africa, the Middle-East and Asia. Authors are encouraged to examine established priorities in innovative ways and to apply traditional methods to new problems. A short discussion of the rationale and contribution of the special issue (3 pages max). Please also state why the topic falls within the aims and scope of the journal and why the proposal would be of interest to a large audience. Contact details, institutional affiliation, one paragraph biography of the special issue co-editors, and three recent publications of each of the co-editors. Feel free to include a link to the personal website of the co-editors. Do not submit full CVs. A list of confirmed articles and authors. Please include for each article (a) the title; (b) 150 word abstract; (c) a very short statement how the article contributes to the special issue and why it needs to be included; (d) a one paragraph author biography; and (e) three recent publications of the author(s). The current state of the special issue. Please describe the background (e.g. previous workshops and conferences) and the timeframe towards the submission deadline. The special issue will consist of a substantive introduction and 6-8 articles. The introduction should stand on itself. It should serve as a state-of-the-art article and be a reference point for all the other articles in the special issue. It is recommended that special issue proposals include at least 8-9 articles. All articles will be sent by the journal for peer-review on an individual basis. It is unlikely that all articles will eventually make the cut. Most articles in CSP are around 8,000-9,000 words (including notes and references). However, manuscripts up to 11,000 words are accepted, for example when they include multiple case studies or use mixed methods. Total word limits will be discussed in case of acceptance. Please submit your application (one PDF file) to csp@nullmaastrichtuniversity.nl. The deadline for the special issue proposal is 15 January 2017. The decision will be announced soon afterwards. The decision by the editor is final. All articles, including the introduction, will have to be submitted by 1 June 2017. 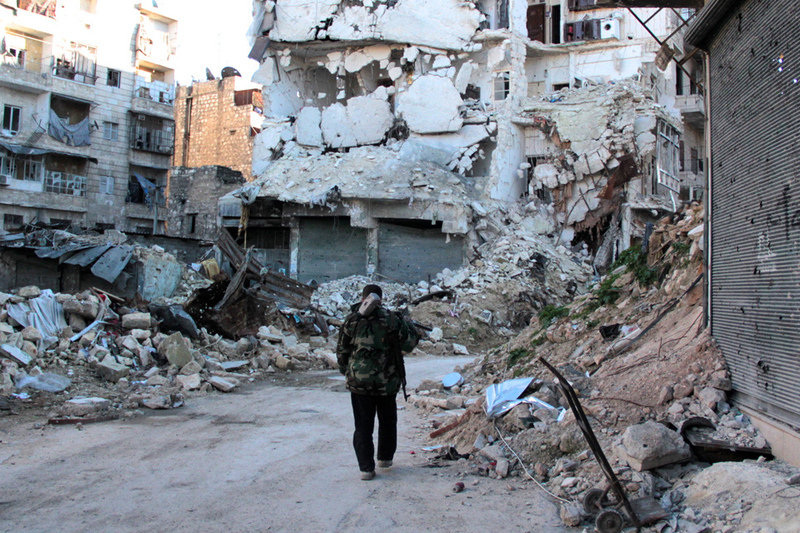 The civil war in Syria has been going on since 2011 with no end in sight. Hundreds of thousands of people have died and millions have sought refuge. The civil war has also allowed the Islamic State to thrive. This terrorist organisation is not only suppressing people in Syria, but is also behind many cruel attacks including the recent ones in Paris and Brussels. As academics, we have been slow on the uptake. Few academic journals, in particular, have published quality articles on these important issues. This is inexcusable. I could therefore not think of a more important topic for my inaugural August 2016 issue which requires our attention. The forum on Syria, the Islamic State and Terrorism contains three articles. They are available via Free Access (no paywall) until December. Magnus Lundgren is one of the few academics who has studied the various mediation initiatives for Syria in-depth. His article “Mediation in Syria: initiatives, strategies, and obstacles, 2011–2016” shortly discusses the mediation attempts by Nabil al-Arabi, Kofi Annan, Lakhdar Brahimi and Staffan de Mistura. He continues by analysing why mediation has been so difficult. He concludes by outlining the various options in Syria. Overall, his assessment is far from optimistic: “the war in Syria will continue for quite some time”, partially because the Islamic State is not participating in any mediation activities. This leads to the second article “The ambivalent coalition: doing the least one can do against the Islamic state” by Stephen M. Saideman. He analyses in greater depth the effort degrade the Islamic State. Following his previous work on multinational warfare in Afghanistan and Libya, he seeks to explain which countries actually contribute to the international coalition against the Islamic State. He offers three explanations: the lessons from Afghanistan/Libya; the extent to which countries are threatened by the Islamic State; and domestic politics of contributing countries. He finds that the discrepancies between the contributors to be significant with the United States carrying (yet again) the very large majority of the burden. The final article is about the war at home. Christian Lequesne writes about “French foreign and security challenges after the Paris terrorist attacks“. The two terrorist attacks in January and November 2015 have affected the French psyche is ways difficult to imagine for outsiders. France is the only European country consistently using the rhetoric of “war” in its actions against terrorism. As Lequesne shows, these attacks have not only changed the relations between state and society in France. They have also led to increasing mistrust in the EU and military activism alongside the United States. The Gaullist paradigm of exceptionalism is no longer. These three articles should help to trigger further academic debate. At Contemporary Security Policy we would like to receive further submissions on Syria, the Islamic State and terrorism, or indeed any topic of considerable contemporary relevance. It is important that, as academics, we make our insight and methods available on topics where we lack sufficient understanding. John Mitton, ‘Selling Schelling Short: Reputations and American Coercive Diplomacy after Syria’, December 2015. Access here. Patricia Shamai, ‘Name and Shame: Unravelling the Stigmatization of Weapons of Mass Destruction’, April 2015. Access here. You may have noticed that Contemporary Security Policy is undergoing a number of changes. Some of these have to do with the new editorship. Others are unrelated. Starting with the April 2016 issue, we changed the layout of our articles. This is part of a wider drive by the publisher (Routledge / Taylor and Francis) to make journal articles fit for on-screen reading and more interactive (read more here). You will find similar article layouts in other journals by the publisher. We have also redesigned the jacket of the journal. The colour scheme has remained the same, but the new design is more appropriate for the Internet age. Elements from the new cover design are also used on this editor’s website and the Twitter account of the journal. As such there is uniformity in terms of design. The August 2016 issue will be the first issue with the new cover. We are also changing the style of the journal and the formatting of the references. In short, we are moving from an endnote Chicago type system to in-text citation (APA). There are a number of reasons for this. First, we have experienced problems in the past with the indexing of endnotes (for example by Google Scholar). In this electronic day and age, it is important that scholarly resources are electronically linked to one another. Second, because many readers now read the articles on-screen, and since it is a hassle to scroll back-and-forward to the endnotes, it seems better that readers immediately see the source through in-text referencing. Finally, while part of the discipline of international relations and international security has a strong background in history (which traditionally prefers notes), the current reality is that most CSP articles are from the social sciences. Indeed, few recent CSP articles actually use archival sources. We will therefore switch to APA. Most, if not all, authors are familiar with this style. It is a consistent style and it is available for EndNote. In the interest of harmonisation, we will be following the Publication Manual of the American Psychological Association (6th edition) to the letter. This also implies that we will be switching from Oxford English to American English (Merriam Webster Collegiate Dictionary, 11th edition). The new stylesheet will be implemented only from volume 38 (2017). This implies, however, a degree of planning. To minimise work on the side of the authors (i.e. the need to change style), we recommend that all newly submitted papers after 15 April 2016 follow the new stylesheet. Authors with a revise-and-resubmit decision should follow the old stylesheet unless they have been informed otherwise. In case of doubt, please contact me. You will find the new style guide and information on the formatting of the reference list on this Editor’s website. Information on the “old” style is also still listed on these pages (scroll down). Contemporary Security Policy awards the Bernard Brodie Prize annually to the author of an outstanding article published in the journal the previous year. The award is named for Dr. Bernard Brodie (1918-1978), author of The Absolute Weapon (1946), Strategy in the Missile Age (1958) and War and Strategy (1973), establishing ideas that remain at the centre of security debates to this day. One of the first analysts to cross between official and academic environments, he pioneered the model of civilian influence that CSP represents. Seth Baum (2015) ‘Winter-safe Deterrence: The Risk of Nuclear Winter and Its Challenge to Deterrence’, Contemporary Security Policy 36(1): 123-148. Richard Bitzinger (2015) ‘Defense Industries in Asia and the Technonationalist Impulse’, Contemporary Security Policy 36(3): 453-472. John Mitton (2015) ‘Selling Schelling Short: Reputations and American Coercive Diplomacy after Syria’, Contemporary Security Policy 36(3): 408-431. Niklas Nováky (2015) ‘Why so Soft? The European Union in Ukraine’, Contemporary Security Policy 36(2): 244-266. Patricia Shamai (2015) ‘Name and Shame: Unravelling the Stigmatization of Weapons of Mass Destruction’, Contemporary Security Policy 36(1): 104-122. The shortlist has been put together by outgoing editors Aaron Karp and Regina Karp and the new editor Hylke Dijkstra. The Bernard Brodie Prize will be awarded by a jury from the CSP editorial board. All the articles on the shortlist for the 2016 Bernard Brodie Prize are freely available here. 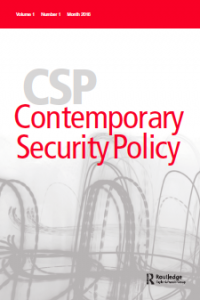 Contemporary Security Policy is seeking proposals for a special issue to be published in 2017. The special issue should address a topic within the aims and scope of the journal. CSP is committed to a broad range of intellectual perspectives. Articles promote new analytical approaches, iconoclastic interpretations and previously overlooked perspectives. Its pages encourage novel contributions and outlooks, not particular methodologies or policy goals. Its geographical scope is worldwide and includes security challenges in Europe, Africa, the Middle-East and Asia. Authors are encouraged to examine established priorities in innovative ways and to apply traditional methods to new problems. 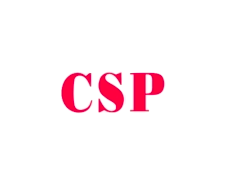 Most articles in CSP are around 7,000-8,000 words (including notes and references). However, manuscripts up to 11,000 words are accepted, for example when they include multiple case studies or use mixed methods. Total word limits will be discussed in case of acceptance. Please submit your application (one PDF file) to csp@nullmaastrichtuniversity.nl. The deadline for the special issue proposal is 15 May 2016. The decision will be announced soon afterwards. The decision by the editor is final. All articles, including the introduction, will have to be submitted by 1 December 2016. Contemporary Security Policy will use Editorial Manager from now onward for all submissions to the journal. Editorial Manager is an online system that allows authors to submit their manuscripts online. They can also find the status of their manuscripts. Editorial Manager will also be used to commission reviews on submitted manuscript. As such all the relevant documents will be hosted online and in one place. Editorial Manager will ensure an efficient submission process and guarantee that nothing gets lost. While Editorial Manager will improve the quality of the submission and review process, Contemporary Security Policy seeks to maintain the personal relationship with both authors and reviewers. Dr Hylke Dijkstra has recently been appointed as the new Editor-in-Chief of Contemporary Security Policy. For the occasion of the conference of the International Studies Association (ISA) in Atalanta in March 2016, he has selected his favorite articles, which will be available through Free Access until the end of March. “One of the oldest peer reviewed journals in international conflict and security, Contemporary Security Policy promotes theoretically-based research on policy problems of armed violence, intervention and conflict resolution. It is about to publish its 37th volume, which makes it a slightly daunting exercise to select the top-10 out of the hundreds of published articles. We live in an age where our academic work gets ranked all the time. Contemporary Security Policy, for example, awards the annual The Bernard Brodie Prize for the best article of the previous year. There are also statistics on the most-read and most-cited articles of the journal. In many ways such rankings are much more authoritative than my own personal selection could ever be. These rankings are, however, also about past successes. Hylke Dijkstra is the new Editor-in-Chief of Contemporary Security Policy. Please access his favorite articles here. 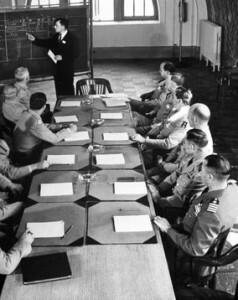 Following my appointment as the Editor-in-Chief of Contemporary Security Policy, I have made a number of changes to the Editorial Board. First of all, Stuart Croft will step down from the Board. He was the co-editor of Contemporary Security Policy from 1991-2004 and has served on the Editorial Board ever since. He is now taking up the position of Vice-Chancellor and President of the University of Warwick. While this is naturally a great loss for the journal, I would like to thank him for his tremendous contribution to the journal and to wish him all the best in his new position. It is also time to welcome new colleagues. To guarantee the continuity of the journal, I have asked the outgoing editors Aaron and Regina Karp to continue to serve on the Editorial Board. They have kindly agreed. This will not only prove helpful during the transition. I am glad that their insight will remain available for the journal. Furthermore, to reflect the development of the journal in terms of its aims and scope, I have invited eight new colleagues to join the Editorial Board. These are highly qualified scholars, from a variety of countries, who bring along exciting new expertise. Many of them are from the new generation; all of them share a commitment to high quality publishing in peer-reviewed journals. They are also dedicated in terms of policy impact and outreach. The Editorial Board will continue to be updated in the future to reflect the aims and scope of the journal as well as developments in the academic discipline. 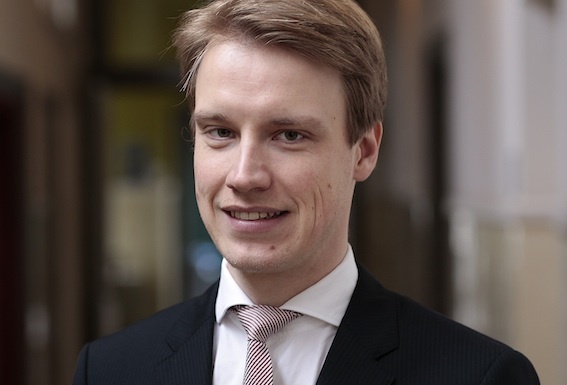 Dr. Hylke Dijkstra has been appointed as the new editor-in-chief of Contemporary Security Policy published by Taylor and Francis. This academic journal promotes theoretically-based research on policy problems of armed violence, peace building and conflict resolution. The aim is to bring academics and policy-makers closer together by addressing the key security challenges of the day. One of the oldest peer-reviewed journals in international conflict and security, Contemporary Security Policy is positioned at the nexus of proof and policy. Since it first appeared in 1980, the journal has established a unique place in the international relations discipline by bridging the gap between academic and policy approaches. It offers policy analysts an outlet to pursue fundamental issues and academic writers a venue for addressing policy. Hylke Dijkstra is an Assistant Professor (with tenure) at the Department of Political Science of Maastricht University, The Netherlands. He has widely published on how international organisations address contemporary security challenges. He is the author of “International Organizations and Military Affairs” (Routledge, 2016) and “Policy-Making in EU Security and Defense” (Palgrave Macmillan, 2013).